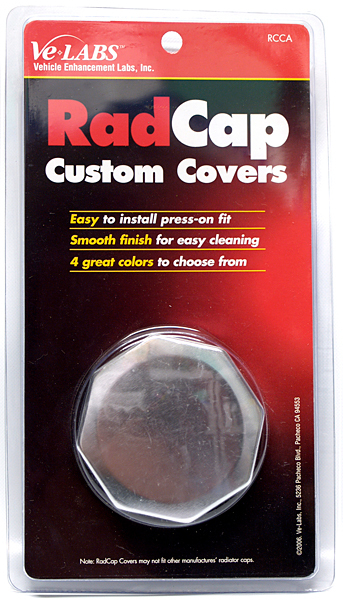 Improves under the hood appearance of any vehicle and gives it that customized look. 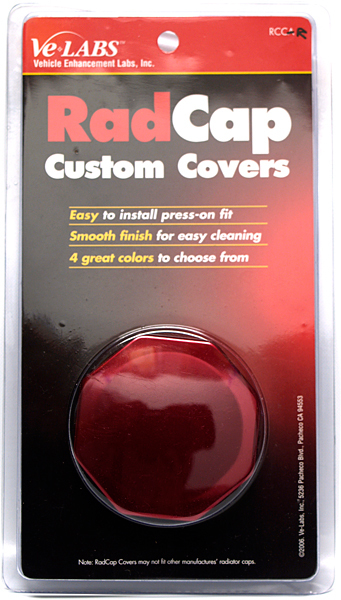 The covers are easy to install and a smooth finish for easy cleaning. 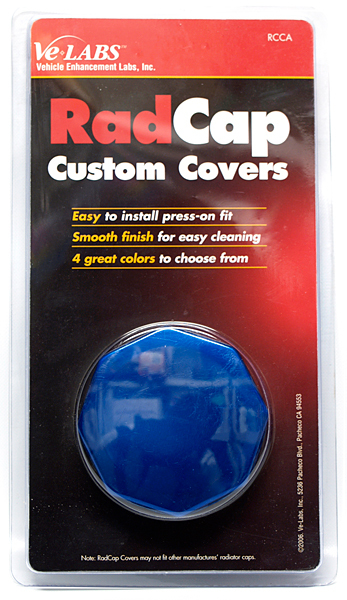 They come in 4 colors – chrome, brushed aluminum, red and blue anodized. 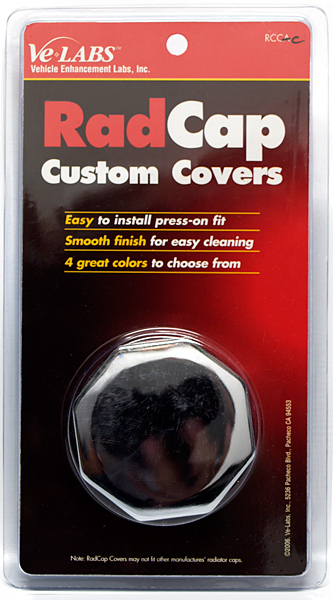 Simply push the cover over the Rad Cap and it fits snugly. There is no need for any adhesives.